With all the buzz about shampoo needing to be the right pH for your hair (there’s a lot of talk about how the traditional no-poo baking soda method is too alkaline for hair), I was itching to test out my current DIY shampoo recipe with some litmus paper. 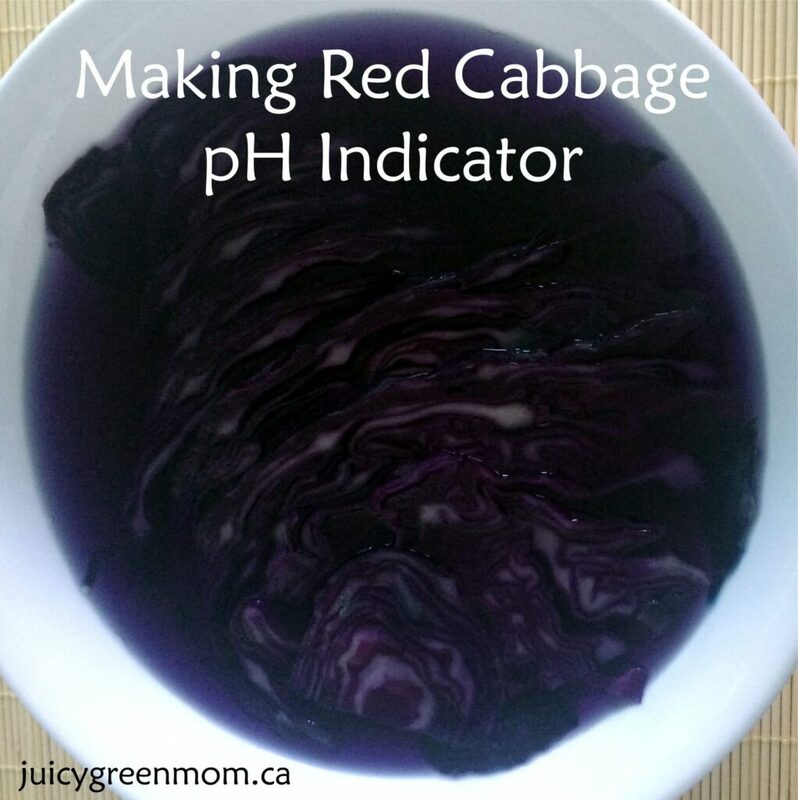 I asked on my local swap page if anyone could provide some, and a teacher on the page told me that you could actually use red cabbage as a pH indicator. Mind. Blown. I got a few strips of litmus paper as well, so I decided to geek out with a science experiment to test pH of shampoo with both methods! It was surprisingly easy to make the red cabbage pH indicator – all I did was chop the cabbage, pour boiling filtered water over it and let it sit for about 10 minutes. I strained the water and voila! My very own pH indicator! I compared the colour of the red cabbage liquid to my Litmus Paper to really test it out. pH of filtered water with litmus paper: 6. Red cabbage indicator looked like a deep shade of purple to me (violet?). pH of Green Beaver liquid castile soap with litmus paper: 7. Red cabbage indicator was a more blue purple like indigo. pH of my DIY shampoo with litmus paper: 7. Red cabbage indicator was pretty much the same – a deep blue purple like indigo. I’ve heard that castile soap is alkaline, so I was surprised when I found that the brand I was using had a neutral pH of 7. Perhaps it’s just slightly alkaline, but not enough to make it to a pH of 8? Regardless, the sad news is that my beloved DIY shampoo recipe is not optimally pH-balanced for haircare (supposedly hair has a pH between 4.5-5.5). I also tested the pH of aloe vera juice, because I’ve heard it used in other DIY shampoo recipes. pH of aloe vera juice with litmus paper: 4. 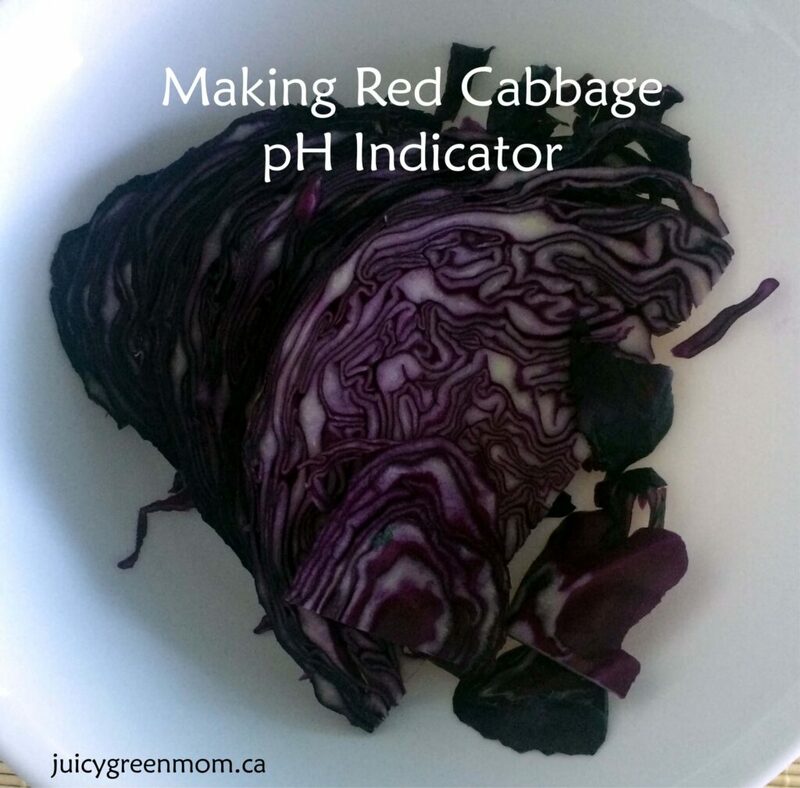 Red cabbage indicator was a mauvy-reddish-purple shade. So perhaps I will experiment with aloe vera juice as another possible ingredient in a DIY shampoo… Hmm! The nice thing is now I know what mauvy/purple shade pH 4 is, so I feel comfortable testing future products with the red cabbage pH indicator method. Stay tuned for more DIY hair care adventures! 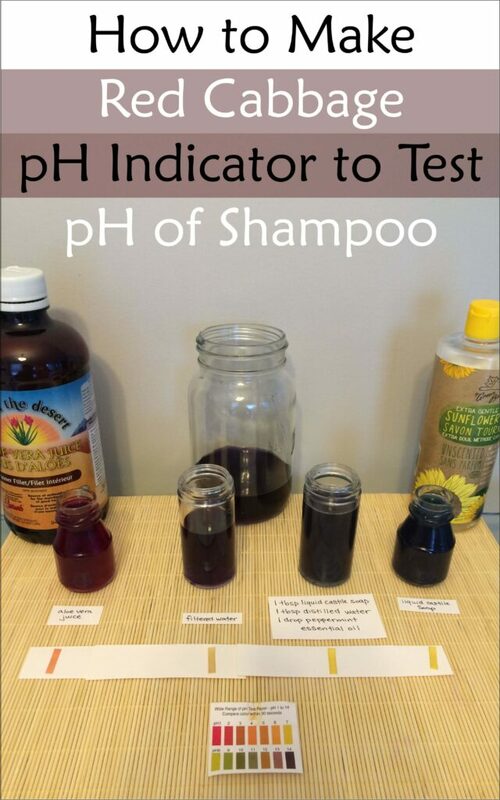 Do you know the pH of your shampoo?